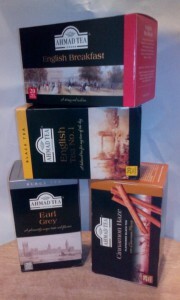 A couple of weeks ago, I was sent some boxes of tea to try by the lovely team at Ahmad Tea. As an avid tea drinker, I have to say that I was more than happy to try them and write a review; I enjoyed all the samples very much! My particular favourites were the Earl Grey and the English Tea No. 1. I preferred both with milk rather than black as the box recommends. 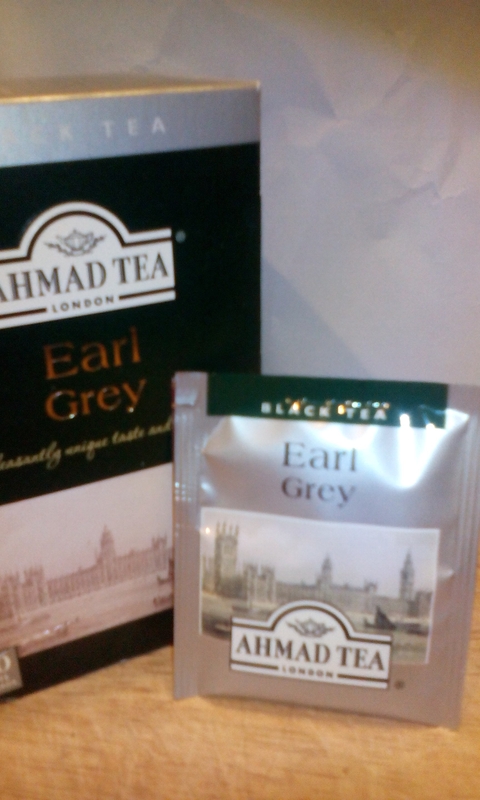 The Earl Grey tea was so flavoursome, owing to the aromatic bergamot, but not too overpowering as I have experienced with some other brands. As I do also love a traditional English Breakfast tea (and the Ahmad Tea one was lovely), the English Tea No. 1 was the perfect combination for me – a hint of bergamot – it’s like getting a little hit of Earl Grey in my traditional cuppa! The instructions advise brewing the tea for 3-5 minutes; however, I personally prefer my tea weaker, so found that less than this worked fine for me. Personally I am not usually a fan of herbal-type teas but I also tried the Cinnamon Haze, and found this delicious very refreshing. I even found that milk worked well added to this tea, and it has certainly helped warm those winter evenings, and helped to get me into the Christmas spirit. What I also enjoyed was the fact that each teabag was individually wrapped – I don’t know about you, but I felt that this added a little bit of luxury, and really made my mid-morning cuppa extra special. It was also a nice way to entertain guests. While the jury’s out on many of the claimed health benefits of tea, tea does contain polyphenols, which are powerful antioxidants. Antioxidants help prevent our cells from being damaged by ‘free radicals’. There are lots of studies suggesting that antioxidants help reduce risk of certain conditions, such as heart disease, diabetes and certain cancers. Tea also contains some caffeine (about a third to half of the caffeine content of regular coffee). The good news is that caffeine can contribute towards stimulating brain function, with studies looking at coffee consumption suggesting faster reaction times, improved concentration, and improved physical performance. There are several studies suggesting that moderate coffee consumption (4-5 cups a day) is enough to convey the health benefits from the caffeine and polyphenols. 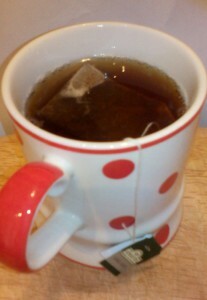 Another benefit of tea is that it can help you stay hydrated, and is an important source of fluid. The good news is that it counts towards your fluid intake, just as much as water does. If, like me, you add milk to your tea as well, this can contribute to your calcium intake, which helps our bones stay healthy. Tea is also a very low calorie drink, which is definitely an added bonus! Disclaimer – whilst I did not pay for the tea samples, I have not been sponsored to write this review. All views are my own and have not been influenced at all by the company Ahmad Tea.